A small, enthusiastic group gathered at the Customs House in St Marys on Monday for Volunteer Appreciation Night. Board members Julie Docker-Johnson and Bob Stephens joined volunteers old and new for wings, sliders, conversation and the Blue Jays victory. Scott updated volunteers on the progress of the Museum, noting that it won’t be open in 2018. It sounds like the baseball diamonds will take up a lot of slack, however, with a record number of bookings for the season. Last weekend, Mother Nature was not kind to the young Quebec players in town to play, however their games and the Blue Jays clinic happened as scheduled. The weather should be better for the Canadian Premier Baseball League 18U showcase that starts today. Those of us lucky enough to live nearby may well see a star of tomorrow. Now in its 3rd season, CPBL is an amalgamation of several elite baseball programs in Ontario and boasts a number of MLB draft picks among its alumni, as well as many more college placements. The Hall of Fame hosts teams from this league every weekend. For more information go to: http://cpblbaseball.ca/ . Follow them on Facebook and Twitter too. 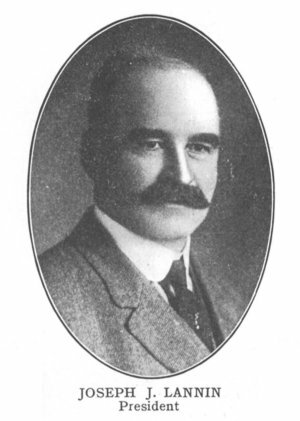 2018 Inductee Bill Humber recently presented a paper entitled “A Thoroughly Improbable Story: The Imaginative, Illicit, Improbable Life of Robert ‘Bob’ Addy” at the 10th annual Frederick Ivor-Campbell 19th Century Baseball History Conference in Cooperstown. 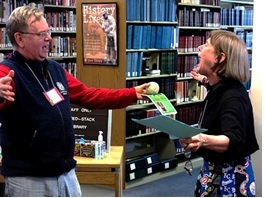 In the library during the afternoon break, conference participant Joanne Hulbert, presented Bill with an old-style ball signed by all the attendees in recognition of his induction into the Canadian Baseball Hall of Fame. She then had everyone sing ‘O Canada’ in his honour, having helpfully distributed printed lyrics for the non-Canadians. Among many other things, Bill is a Director of the Centre for Canadian Baseball Research, our partner in a number of initiatives. The Centre launched its website this week. Find it at http://baseballresearch.ca/ . 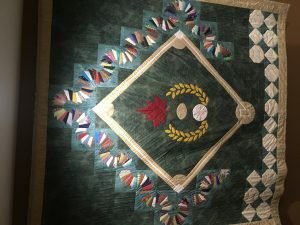 From the collection: This time we’re looking at textile arts, specifically a quilt on display at the Stone Willow Inn in St Marys. 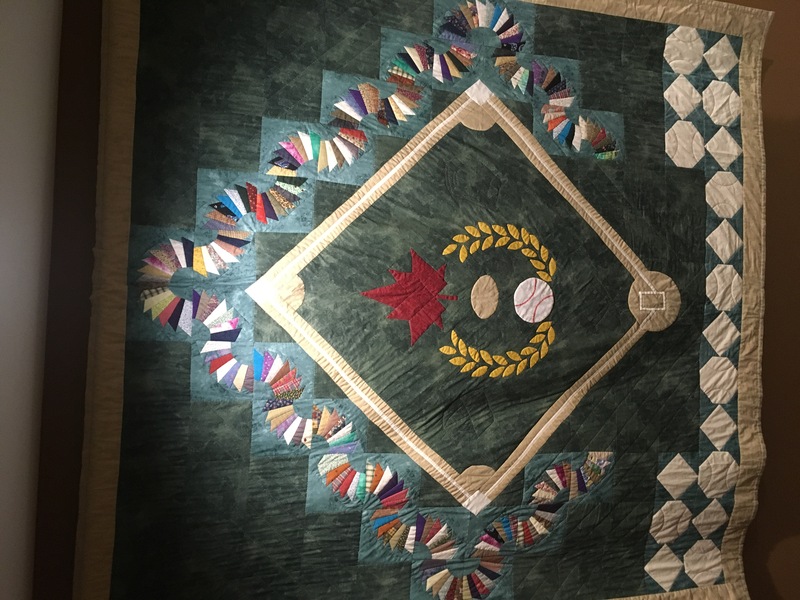 A labour of love by twenty-two members of the Stonetowne Quilters Guild, the quilt features a baseball diamond framing our logo. it was presented to the Canadian Baseball Hall of Fame and Museum in 1999. Book recommendation: 101 Baseball Places To See Before You Strike Out. This 2015 effort by Josh Pahigian is great for the baseball fan planning a road trip. We’re the only Canadian location, listed between the Lowertown Ballpark in St. Paul, MN and the Carroll B. Land Stadium in San Diego. Wonder if author knows about London’s Labatt Park, the world’s oldest baseball field, dating back to 1877. 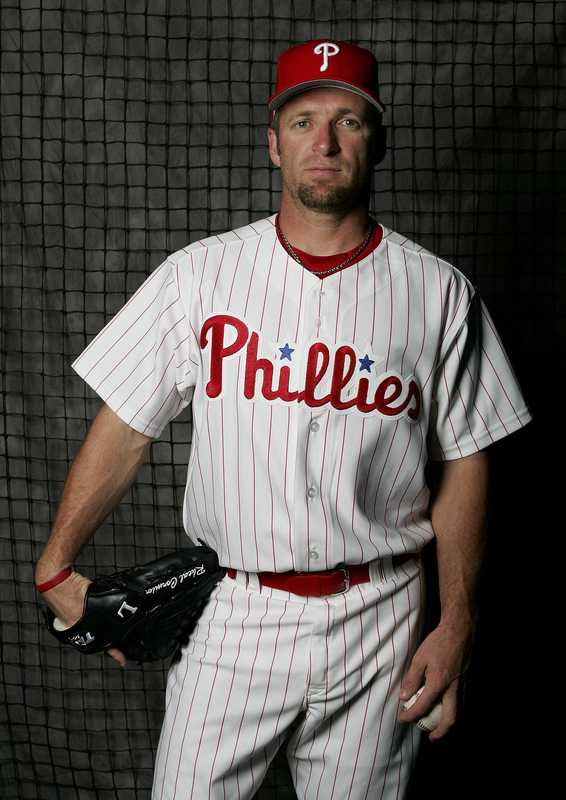 Inductee birthdays this month: May 3 – Bill Slack, 7 – Claude Raymond, 10 – Allan Roth, 12 – Felipe Alou and George Lee, 13 – Jimmy Archer, 14 – Roy Halladay and Dennis Martinez, 22 – Ron Piche, 23 – Reggie Cleveland, 24 – Rob Ducey, 25 – Tip O’Neill and Jimmy Williams, 26 – Jim McKean. 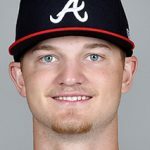 Canadian MLB news: 20 year-old Calgary native Mike Soroka made his major league debut on May 1 with Atlanta, pitching 6 innings versus the NY Mets and picking up the win. 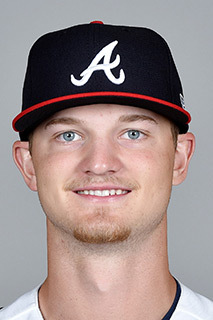 He became the 5th Canadian to play for Atlanta behind Hall of Famer Claude Raymond, Chris Reitsma, Pete Orr and Scott Thorman. 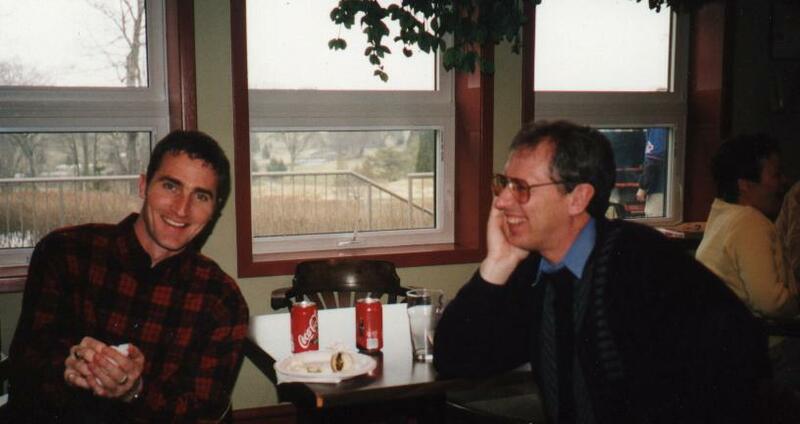 Ladner, B.C. native James Paxton set a Canadian MLB record with 16 strikeouts on May 2nd versus the Oakland A’s passing the previous high of 15 by Erik Bedard (July 7, 2007).